This new 189,673 sq ft development provides three self contained speculatively built units (Unit 1 – 89,307 sq ft, Unit 2 – 41,020 sq ft and Unit 3 – 59,346 sq ft) suitable for light industrial, industrial or warehouse users. Built to the highest standards, Unit 1 has been let to Amazon and Unit 2 has been let to TTS Logistics leaving Unit 3 now ready for occupation. Each unit has a separate secure yard and the potential to increase the office content or install staff amenities beneath the fitted first floor offices. Breakdown of pallet locations as follows: Unit 3 VNA – 7280 pallets, Reach Truck – 5070 pallets. 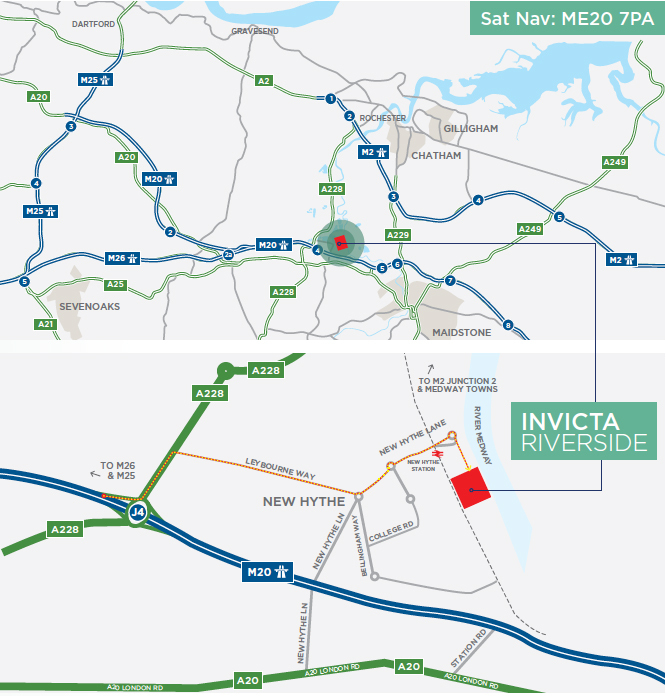 The site is 2 miles from J4 of the M20 fronting New Hythe Lane on the New Hythe Business Park, a well established industrial/ distribution area to the north west of Maidstone. 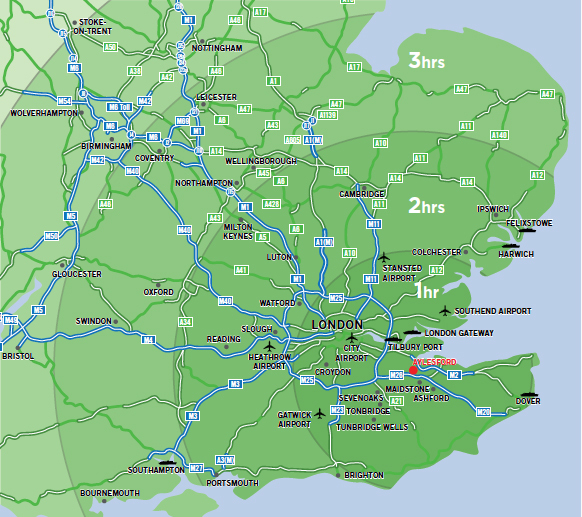 This north Kent location is 33 miles from Central London and 15 miles from the M25 providing access to the south east motorway network. New Hythe train station is within 5 minutes walking distance.